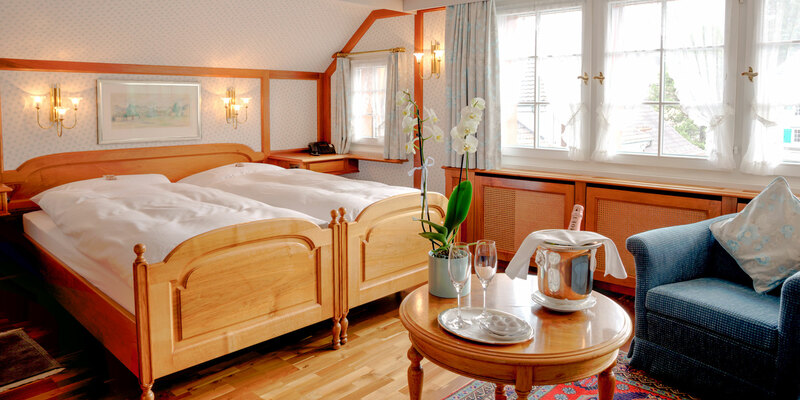 Appenzell is known for both its vibrant colours as well as high-quality, skilled craftsmanship. 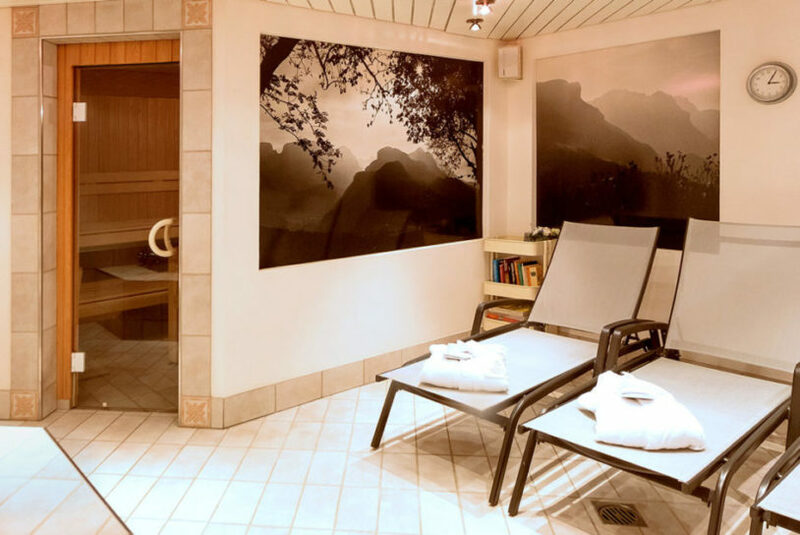 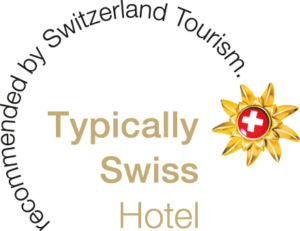 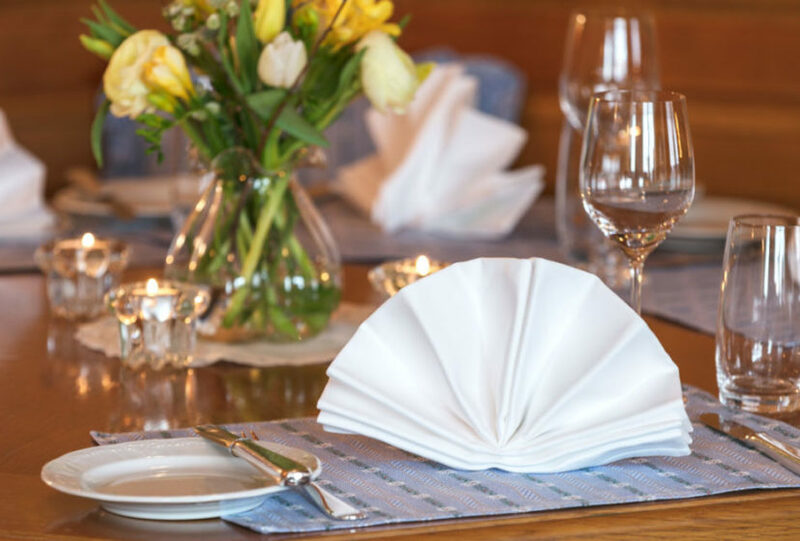 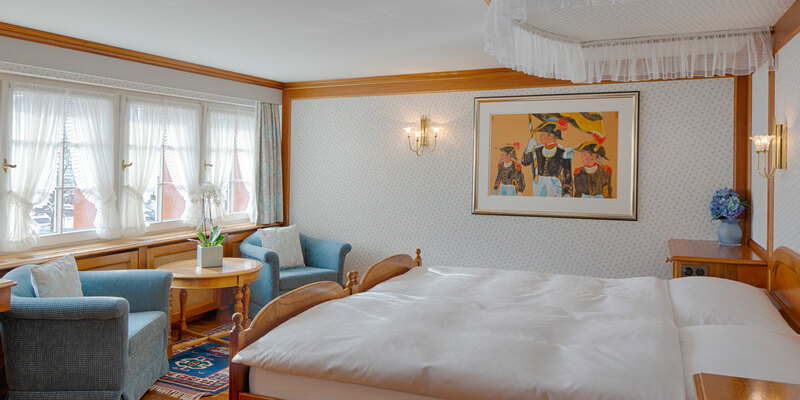 Our hotel rooms display all the best qualities, values and traditions of the region. 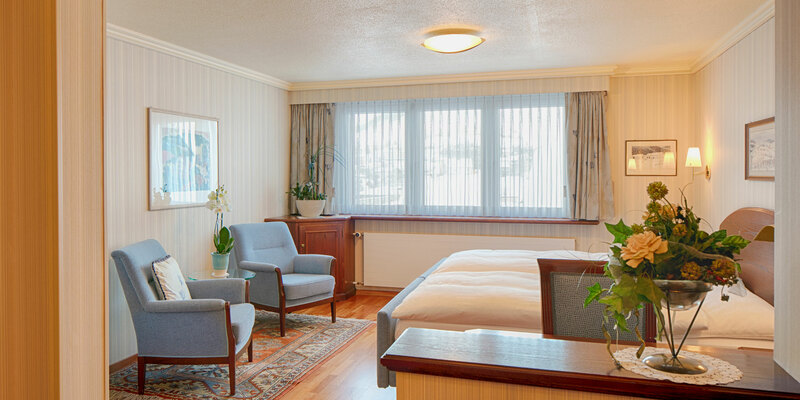 Our standard rooms (approx. 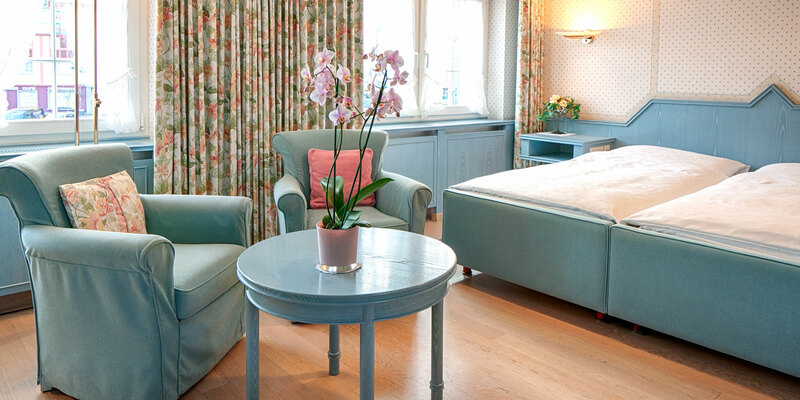 25 m2) are uniquely decorated and equipped with bath or shower, WC, radio, TV, telephone, minibar, safe and Wifi. 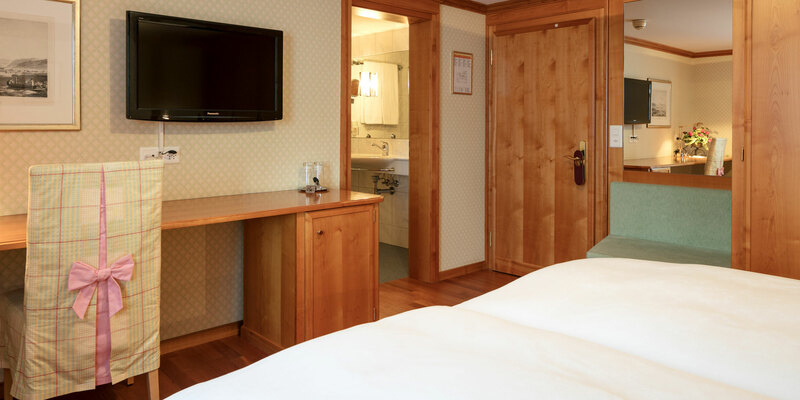 We also have a wheelchair accessible hotel room. 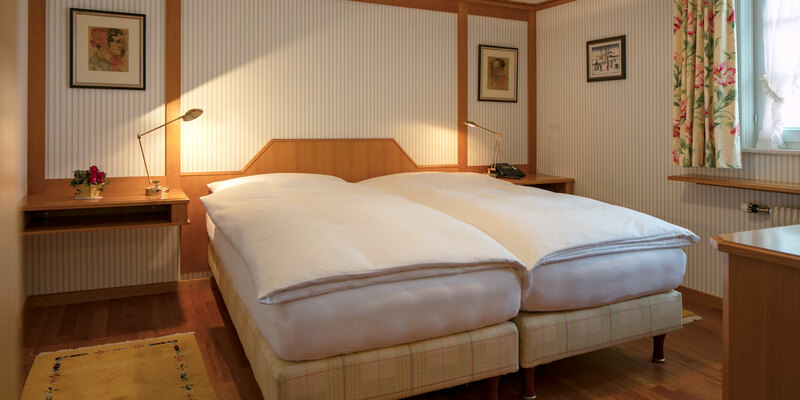 The Deluxe rooms (30 m2) are furnished with baths and/or showers, WC and twin wash hand basins. 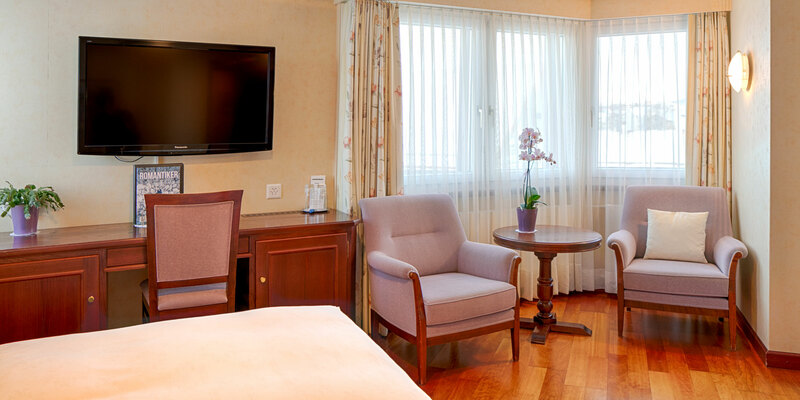 You will also find Wifi, TV, telephone, radio, minibar and safe in all our rooms. 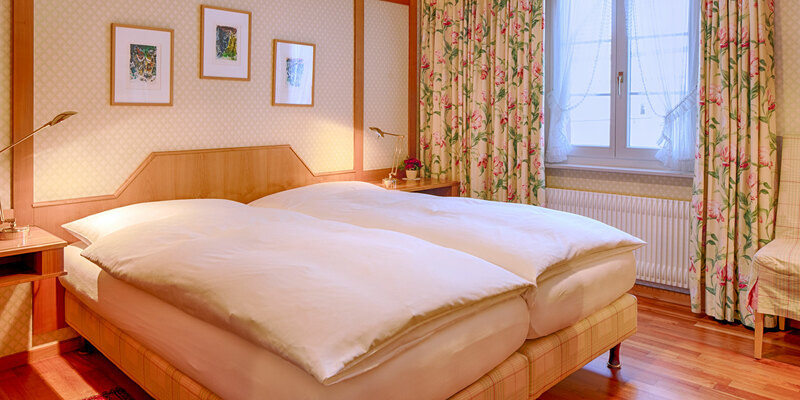 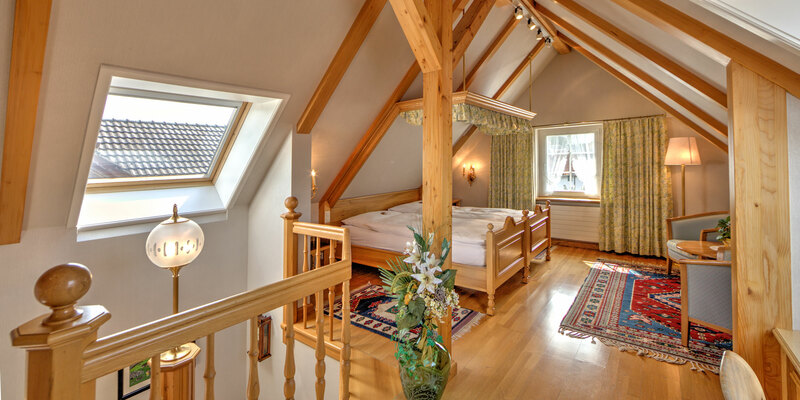 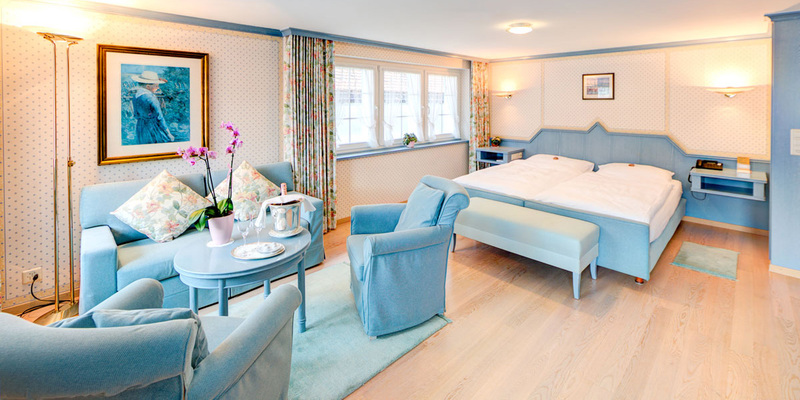 Several of the Deluxe rooms boast a view of the historical square, the Landsgemeindeplatz. 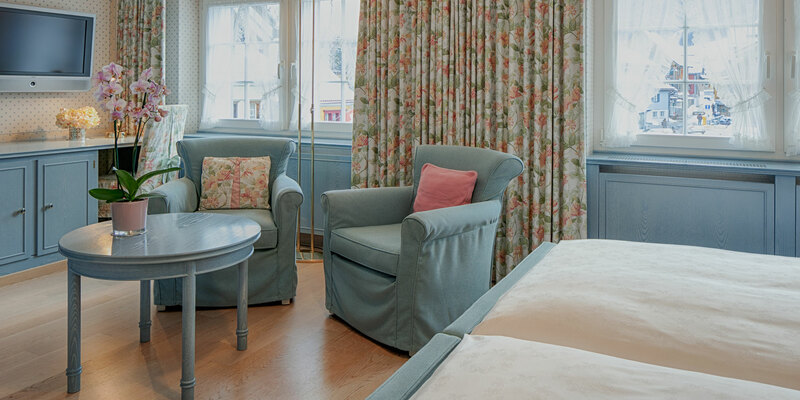 Every one of our Junior Suites has a comfortable seating area with a sofa and armchair. 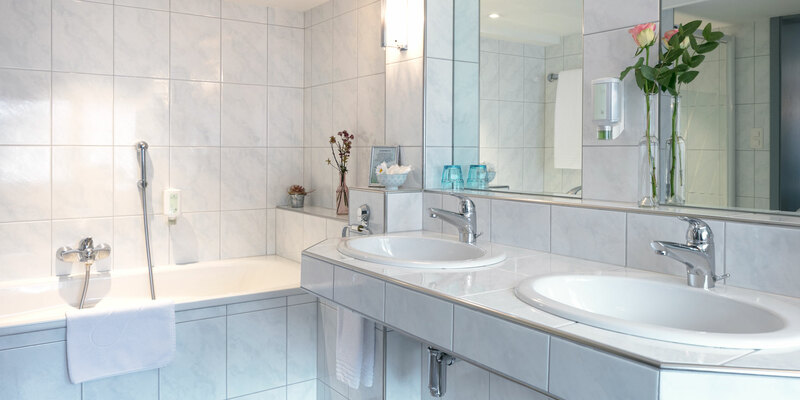 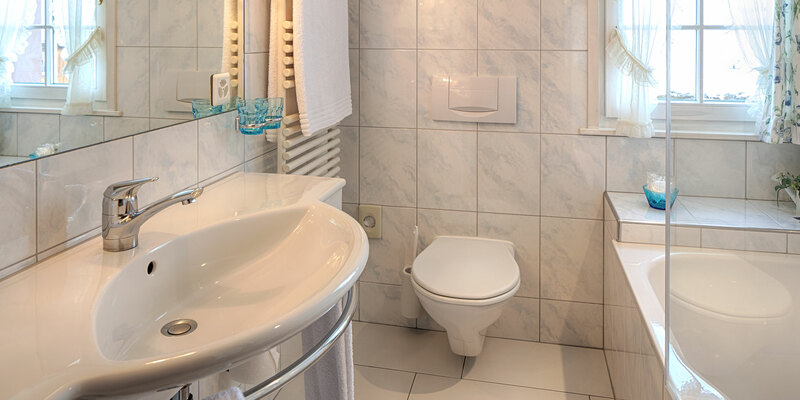 You will also find a spacious bathroom with WC, separate shower and bath and twin wash hand basins. 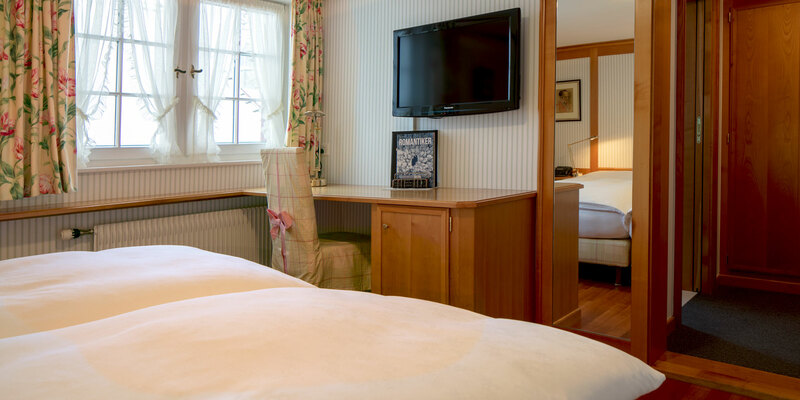 As in all our rooms, the Junior Suites are also equipped with Wifi, TV, telephone, radio, safe and minibar.